If you haven’t seen the movie, it’s your typical story of an unlikely hero who saves the day. 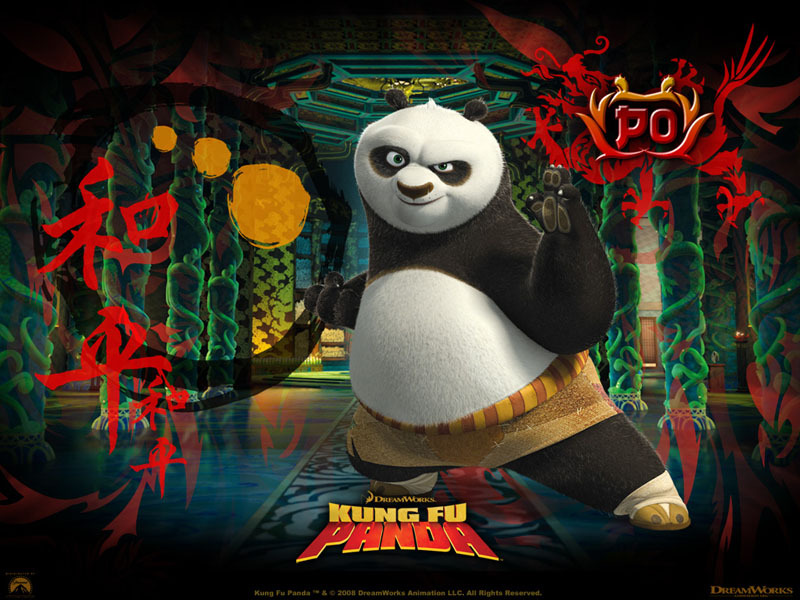 In this particular case an untrained, overweight, noodle-making panda defeats an evil Kung Fu Master simply by being himself. This is a powerful message to reinforce with children, who for a variety of reasons may feel depressed, disempowered and disengaged. But I’m willing to bet, and those of you who are parents can correct me if I’m wrong, that it’s even more challenging for adults to believe that they are good enough simply because they are themselves. We receive a constant barrage of messages from the media, colleagues, family members and friends telling us that we’re not good enough no matter what we do. If we’re pencil-thin we’re not thin enough; if we labor eighty hours each week and get paid for half of that time we’re not working hard enough; if we’re unpartnered we’re not committed enough; if we enjoy solitude we’re not social enough; and I’m sure you can think of a million reasons why you’re not good enough so I’ll stop there. What if each adult who is alive during this slice of time that we call the present believed with absolute certainty that they were worthy. Period. No clarifications or disclaimers. We are all good enough just because we are ourselves. How would that change, for example, the so-called economic crisis? If everyone felt certain that they were worthy of financial abundance could there be a recession? Wouldn’t the emotional security that accompanied such certainty render an economic crisis an impossibility? If we all knew we were good enough then there would also be no conflicts, interpersonal or international; war would be a thing of the past. What else might change if we operated under the assumption that every person is good enough exactly as they are — and what is keeping us from embracing that reality? There’s no time like today to choose self-worth. According to a character from the movie, now is a gift, which is why it’s called the present. « When You Die You WILL Meet God!